With over 19 years in Real Estate, Brad is not only experienced but extremely professional. He has a wide variety of experience within the realm of real estate and is always eager for more. He excels in responsive communication, stand-out marketing and strong negotiation skills. A strong belief that you need to give to receive, Brad has dedicated nearly 14 years of volunteer service with the Red Cross. There, he took on many leadership roles such as training staff and volunteers in Disaster Services, volunteering in shelter management roles, and most actively as team captain for King County’s Disaster Action Team 2 (one of a few teams that operate as the local Red Cross’ first responders to local disasters). In 2010, Brad was awarded the Hero Award, Compassion in Action for his volunteer services. Combining his passion for giving back and being a natural people person, it’s no surprise that real estate was a natural evolution for this high achiever. 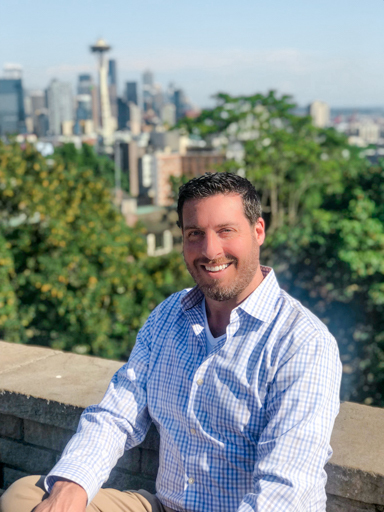 His main goal is to make people a priority, by continuing to provide unparalleled support to his clients, their friends, family members, and coworkers who are referred to our team. Brad has a gift for telling it like it is, as honesty and authenticity are part of his core values. He has shown that he will not mislead someone to get their business, and is comfortable and confident in his knowledge and research. A true outdoors enthusiast Brad enjoys spending his time in the beautiful mountains and lakes of the Pacific Northwest. While not working, boating, or hiking, it’s a safe bet that late at night you can find him reading topographical maps in bed with a magnifying glass and headlamp.